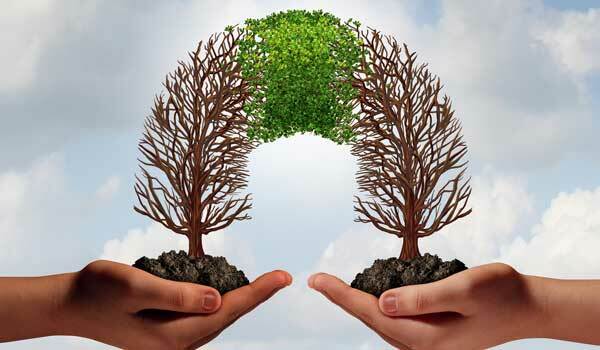 Average spot quotations were 114 points lower than the previous week, according to the USDA, Agricultural Marketing Service’s Cotton and Tobacco Program. Quotations for the base quality of cotton (color 41, leaf 4, staple 34, mike 35-36 and 43-49, strength 27.0-28.9, and uniformity 81.0-81.9) in the seven designated markets averaged 74.96 cents per pound for the week ending Thursday, September 27, 2018. The weekly average was down from 76.10 last week, but up from 67.34 cents reported the corresponding period a year ago. Daily average quotations ranged from a high of 75.45 cents Friday, September 21 to a season low of 74.11 cents Thursday, September 27. 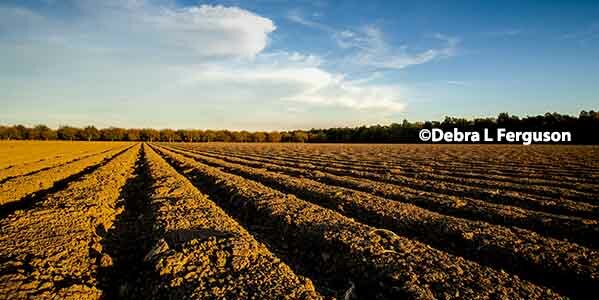 Spot transactions reported in the Daily Spot Cotton Quotations for the week ended September 27 totaled 2,136 bales. This compares to 3,016 reported last week and 6,240 spot transactions reported the corresponding week a year ago. Total spot transactions for the season were 17,279 bales compared to 36,718 bales the corresponding week a year ago. The ICE December settlement prices ended the week at 77.72 cents, compared to 78.47 cents last week. The Department of Agriculture’s Commodity Credit Corporation announced a special import quota for upland cotton that permits importation of a quantity of upland cotton equal to one week’s domestic mill use. The quota will be established on October 04, 2018, allowing importation of 13,296,430 kilograms (61,069 bales) of upland cotton. Quota number 23 will be established as of October 04, 2018, and will apply to upland cotton purchased not later than January 01, 2019, and entered into the U.S. not later than April 01, 2019. The quota is equivalent to one week’s consumption of cotton by domestic mills at the seasonally-adjusted average rate for the period May 2018 through July 2018, the most recent three months for which data are available. The crop advanced across the lower Southeast region under mostly fair to cloudy skies and seasonably warm conditions. Daytime high temperatures were in the upper 80s to lower 90s. Scattered thunderstorms brought moisture to widespread areas throughout Alabama and the Florida panhandle. Weekly accumulated rainfall totals measured from 1 to 2 inches, with heavier accumulations observed locally. In Georgia, soil moisture conditions deteriorated in areas that have missed precipitation in recent weeks. Fruit shedding was reported on the top crop in some dryland fields, due to dry conditions. Bolls were cracking open throughout the region and defoliation was getting underway. 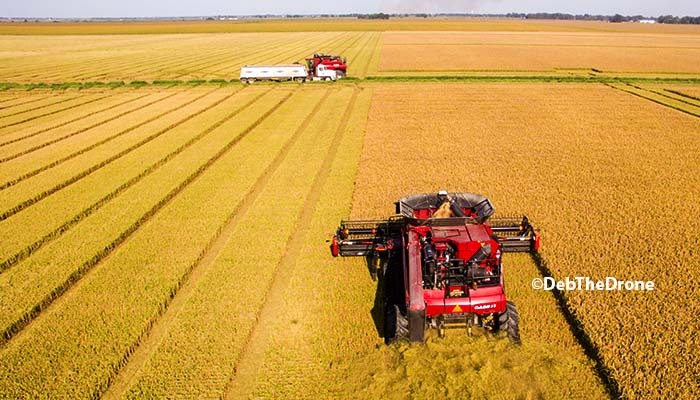 Harvesting activity had begun in the most mature fields in Alabama, Florida, and Georgia. Some gins had begun pressing operations and the Macon Classing Office received the first samples for the season. The crop made good progress in the Carolinas and Virginia under sunny to cloudy conditions. Daytime high temperatures varied from the mid-80s to low 90s. Thundershowers brought moisture to portions of central Virginia and central South Carolina. Rainfall totals measured around 1 to 2 inches. Clean up efforts were underway and producers continued to assess damage from Hurricane Florence. In coastal areas of North and South Carolina where the Intracoastal Waterway and the Black, Great Pee Dee, Waccamaw, and Sampit rivers meet the sea; residents were evacuating and preparing for additional flooding as floodwaters flow downstream and rivers were forecast to rise 2 to 4 feet. Reports indicated heavy yield losses in these areas as cotton was blown out of the boll or strung out from storm winds. Local experts also reported seed sprouting in bolls that were drenched from the storm. In Virginia, fieldwork remained at a standstill due to wet conditions. Elsewhere in the Carolinas, defoliation was expanding and harvesting was underway in the earliest-planted fields. Some gins had begun pressing operations and the Florence Classing Office received the first samples for the season. Buyers for domestic mills inquired for a moderate volume of color 52 and better, leaf 5 and better, and staple 35 and longer for first quarter 2019 delivery. No sales were reported. Reports indicated most mills have covered their raw cotton needs through the fourth quarter 2018. Demand for open-end and ring-spun yarn was moderate. Most mills operated five to seven days. Demand through export channels was moderate. Representatives for mills throughout the Far East inquired for any discounted styles of cotton. Daytime highs were in the mid-90s. Overnight lows were in the mid-60s in most areas. A series of storm fronts brought unwelcome rain to the region during the week, and up to 9 inches were reported in some areas. Field activities were at a standstill due to wet conditions. A few gins had sufficient modules on their yards to begin pressing operations, but other gins experienced delays due to inclement weather. The Dumas Classing Office and the Memphis Classing Office have begun classing this season’s crop. 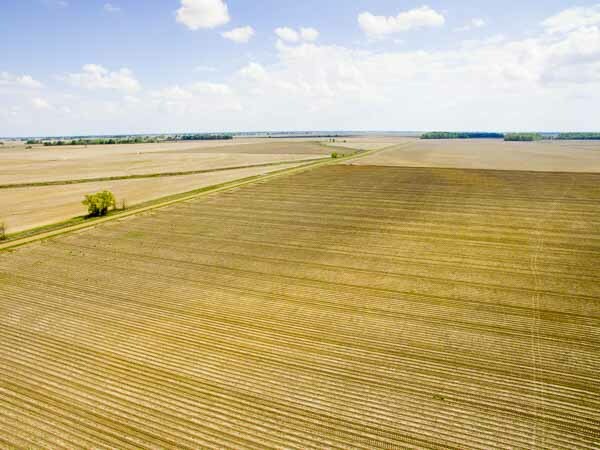 According to the National Agricultural Statistics Service’s (NASS) Crop Progress report released September 24, the crop condition in Arkansas was rated 96 percent fair-to-excellent, 90 in Missouri, and 98 percent in Tennessee. NASS also reported that harvesting had reached 18 percent in Arkansas, 9 in Missouri, and 10 percent in Tennessee. Daytime high temperatures were in the upper 90s. Overnight lows were in the low 70s. A series of storm fronts brought unwelcome rain to a few areas of Mississippi during the week. Up to 3 inches were reported in localized places. Outdoor activities were idled, due to wet field conditions in the affected locations. A few gins were able to continue operating. The Rayville Classing Office has begun classing operations. 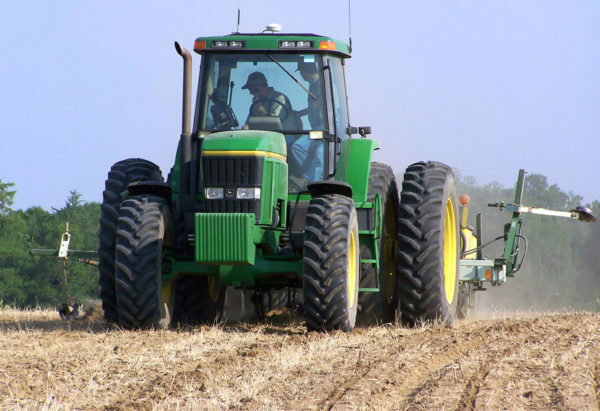 According to the National Agricultural Statistics Service’s (NASS) Crop Progress report released September 24, the crop condition in Louisiana was rated at 97 percent fair-to-excellent and 95 percent in Mississippi. NASS also reported that harvesting had reached 19 percent in Mississippi and 36 percent in Louisiana. Spot cotton trading was slow. Supplies and producer offerings were light. Demand was light. Average local spot prices were lower. Producer interest in forward contracting was light. Trading of CCC-loan equities was inactive. Foreign inquiries were light to moderate. In south Texas and the Rio Grande Valley, rainfall interrupted final harvesting activities. 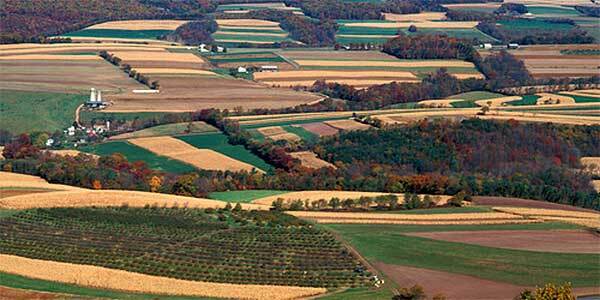 Most fields had been harvested, and the rainfall helped recharge the soil for next season. The Upper Coast and Coastal Bend received around 10 to 14 inches of precipitation, according to local reports. Some fields in the Upper Coast had not been harvested and suffered damage. Those fields were under assessment to determine the extent of damage. Ginning was completed at some locations. More gins will finish in the next two to three weeks. Some parts of the northern Blackland Prairies received around 3 to 14 inches of rainfall, according to local reports. Localized flooding caused unharvested fields to be muddy and soaked, stalling all fieldwork. Ginning continued uninterrupted. Around one-half of an inch of rainfall was received in Kansas. Dryland stands matured quickly and applications of defoliants and boll openers were expected to begin next week. 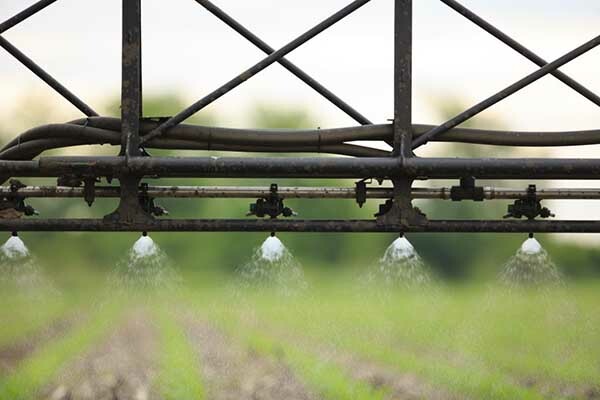 Irrigated fields were slower to finish under damp conditions and cooler temperatures. In Oklahoma, rainfall brought 3 to 5 inches of moisture and interfered with field activities. Harvesting had begun on a limited basis on dryland acres ahead of the rain storms, but fields were soggy late into the reporting period. Producers are ready for the fields to dry so that defoliants can be applied, and harvesting can resume. Spot cotton trading was inactive. Supplies and producer offerings were light. Demand was very light. Average local spot prices were lower. Producer interest in forward contracting was light. Trading of CCC-loan equities was inactive. Foreign inquiries were light to moderate. Early in the reporting period, heavy rainfall brought up to over 4 inches of precipitation in some areas. Additional rainfall brought more than 2 inches of rainfall within 6 hours on September 26, when a cold front moved west to east across the region. Daytime temperature highs were in the low 50s to mid-90s, and overnight temperature lows were in the upper 40s to low 60s. Boll openers and defoliants were applied as drier conditions prevailed. Some fields were defoliated with leaves dropped from the plants, but most fields were green with bolls opening. Stripper and picker harvesting had begun in a couple of locales in the Northern and Southern High Plains. Ginning had begun on a limited basis, and is expected to expand next week. Insects were less of a concern, due to the maturity of the stands. Field days and meetings were held around the region as the area moves quickly toward the harvesting season. In Texas, a moderate volume of even-running lots containing mostly color 31 and better, leaf 3 and better, staple 35-37, mike 37-52, strength 26-32, and uniformity 79-84 sold for 76.00 to 76.25 cents per pound, FOB warehouse (compression charges not paid). A light volume of mostly color 31 and 41, leaf 3 and better, staple 36-38, mike 45-51, strength 28-32, and uniformity 80-83 sold for around 75.00 cents, same terms as above. A light volume of mostly color 41 and better, leaf 2 and 3, staple 35, mike 46-49, strength 27-30, and uniformity 79-81 sold for around 71.00 cents, same terms as above. A light volume of 2017-crop cotton containing mostly color 21, leaf 3, staple 34 and 35, mike averaging 30.3, strength averaging 29.1, and uniformity averaging 79.8 sold for around 53.50 cents per pound, FOB car/truck (compression charges not paid). A light volume of 2017-crop cotton containing mostly color 11 and 21, leaf 2 and 3, staple 33-35, mike 22-27, strength 25-29, and uniformity 75-78 sold for around 45.00 cents, same terms as above. Spot cotton trading was inactive. Supplies and demand were light. Average local spot prices were lower. No forward contracting or domestic mill activity was reported. Foreign mill inquiries remained light. Sunny skies and clear conditions advanced harvesting in Yuma, AZ. Ginning continued uninterrupted. The crop made good progress in central Arizona and Safford. Initial defoliation began in the period. Temperatures were mostly in the 80s for New Mexico and El Paso, TX. The crop made good progress. Producers and industry members attended annual meetings. Spot cotton trading was inactive. Supplies and demand were light. Average local spot prices were lower. No forward contracting or domestic mill activity was reported. Merchant offerings were light. Foreign mill inquiries were for high quality cotton. Interest was best for color 21 and better, leaf 2 and better, and staple 38 and longer for near-by shipment. Overall, foreign inquiries remained light. The crop made good progress and neared completion. Some producers in Kern, Kings, and Tulare Counties began defoliating in the period. Producers and industry members attended annual meetings. Spot cotton trading was inactive. Supplies and demand were light. Average local spot prices were steady. No forward contracting or domestic mill activity was reported. Merchant offerings were moderate. Foreign mill inquiries remained light. Interest in new-crop slowed as mills moved to the sidelines as China/US trade war continued. A total of 274,700 bales were committed to export sales for week ending September 20, compared to 291,400 the previous year, according to the Foreign Agricultural Service. Mild temperatures in the 80s to low 100s were prevalent in the region. Harvesting gained momentum in Yuma, AZ. No ginning was reported. The Far West crop made good progress as the growing season approached completion. Extension experts advised producers to monitor the crop for late season pests such as aphid and whitefly. Initial defoliation began in the San Joaquin Valley of California.